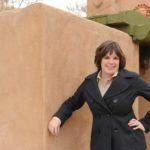 Kellie holds a full-time position as the Training Administrator for the Greater Albuquerque Association of REALTORS® in Albuquerque, NM. Kellie embodies a passion for the real estate industry. Before accepting the position with GAAR, she was a top-producing real estate broker and real estate trainer. On a personal note, Kellie is one of those “dog” people, and her English Bulldog Momo is her fur child. When she is not working, she can be found relaxing with Momo and her husband, exploring many of the excellent eateries and attractions that Albuquerque offers. In today’s ever-changing, digital marketing landscape, you have to have an online presence, or you’ll get passed by. Owning a home can mean added commitment, pressure and emotional baggage for many buyers. With such a large financial investment at stake, not all buyers will actually end up closing on a deal. Many new real estate agents are often thrown into the middle of the real estate ocean, left to sink or swim in a sea of competition. And many, therefore, do not have a plan or idea of where to begin when their first few listing appointments fall in their lap.